One of the crown jewels of the club is our program for making earth science teaching sets for schools. 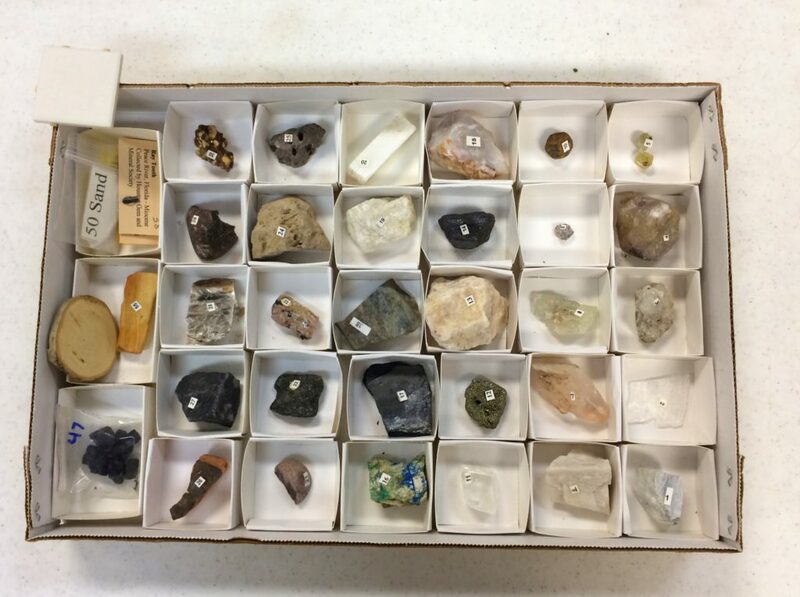 Who better to create “jewels” than a gem and mineral society? The idea is that when one of the HGMS members gives a talk at a school, the member can use a collection of rocks, minerals, or fossils and LEAVE it behind! If an HGMS member gives such a talk on one or two sets at a school, the set or sets on which the member talks will be left behind with the teacher. Each set includes a listing of the minerals or fossils included in the set and a descriptive handout about the materials or fossils in the set that can be used for additional teaching aids. The sets that can be taken to a school are listed in the left-hand column below. The right-hand column is a list of those sets made up specifically for teachers who come to the show on Kids’ Day (the Friday of our annual 3-day show) for the School Daze Earth Science Program. Click on the various components of a set to see those items.